Join the friendly crew aboard ZigZag Whitsundays for a Full Day Tour to Whitehaven Beach and the Whitsunday Islands. 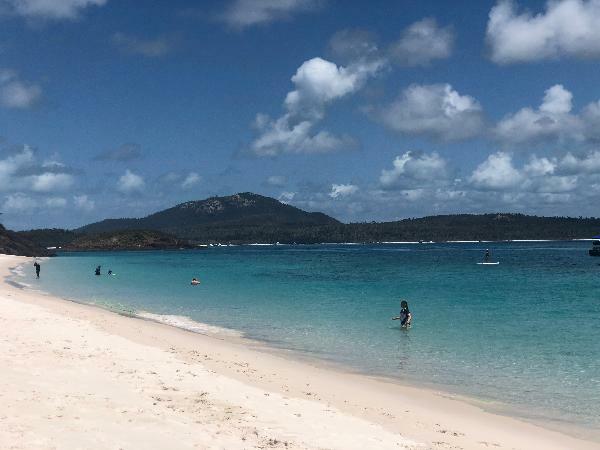 You'll have the chance to visit 2 snorkel locations, spend up to 2 hours on Whitehaven Beach and visit a small secluded resort on Long Island. This is an adventure to one of the last unspoilt regions on the East Coast. 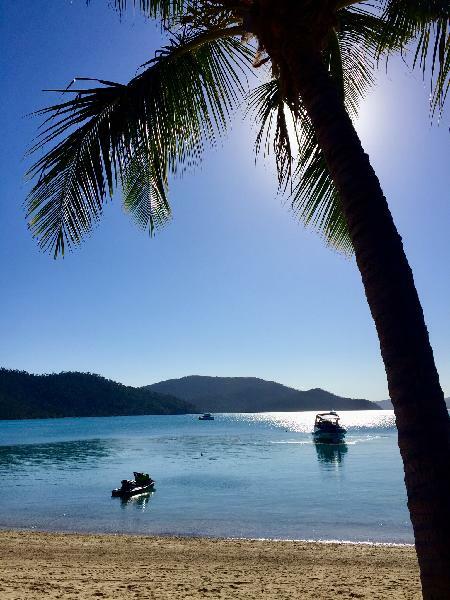 Want the best Whitsundays Experience? ZigZag is a true Full Day Tour meeting at 8 am and returning at 4 pm. Plus it is the fastest boat in the Whitsundays. More time at the islands and the fastest boat means this tour is the #1 way to see the Whitsundays. ZigZag is a 39ft Naiad boat with 4 engines totalling 1200 horsepower! This means the vessel is fast, yet an extremely comfortable ride, allowing guests of all ages and adventure levels to take part. We limit to just 35 guests, making sure you get the small group experience and include morning tea, lunch and afternoon snacks. 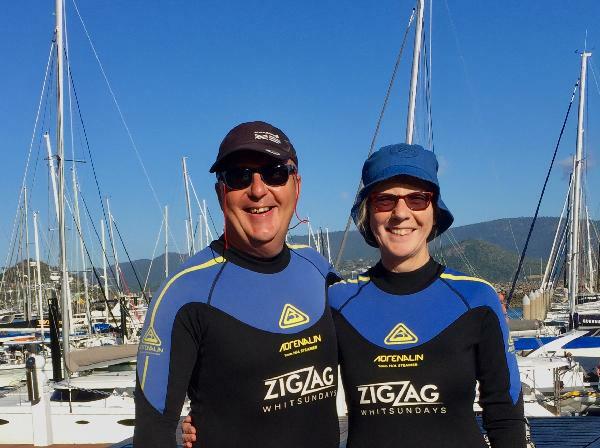 The ZigZag crew are well known as the friendliest tour guides in the Whitsundays. They are all trained in the highest environmental standards by the company’s owner who is a marine biologist trained right here on the Great Barrier Reef. 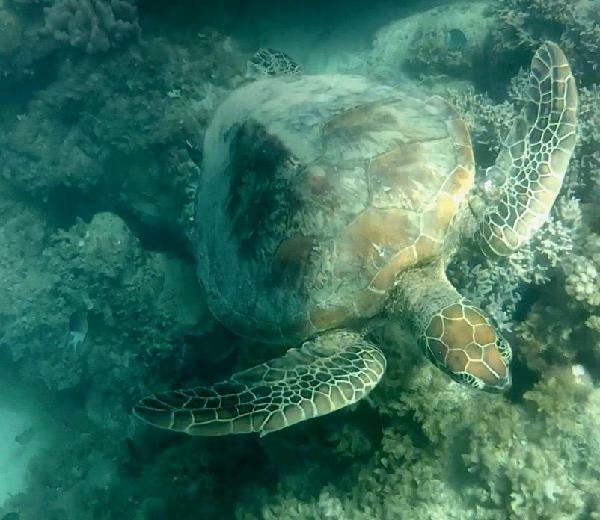 If you like snorkelling and want to see the beautiful coral of the Great Barrier Reef Marine Park, then this tour is for you. Our qualified crew choose the best locations that suit the conditions. These locations can include Chalkies Bay, Blue Pearl Bay, Luncheon Bay and Border Island and a secret bay we keep quiet. (you will see why) These tropical waters are filled with tropical fish and turtles year round! These areas of reef are sheltered by the islands and have a large, diverse range of stunning colours and abundant sea life. 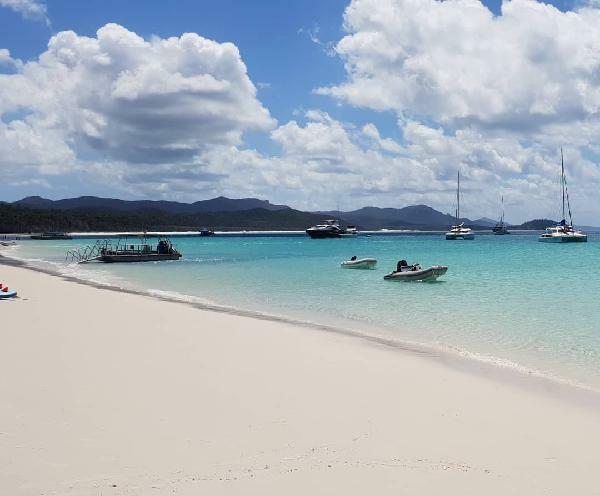 Spend up to 2 hours exploring the 97% pure silica white sands of Whitehaven Beach; you will also be served a homemade buffet lunch here and have plenty of time to explore this iconic destination. 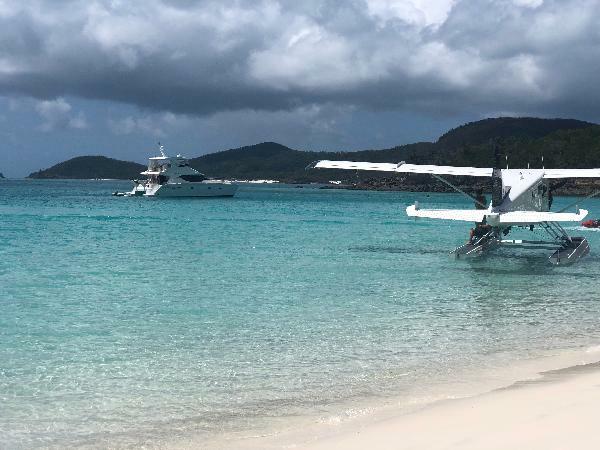 On returning from Whitehaven Beach we stop off at Palm Bay Resort on the idyllic Long Island, this is a secluded resort where you will get the opportunity for a relaxing swim in the pool or a drink at the bar for a short while before returning to Airlie beach. · Early departure means you'll see more! · Locally owned and operated company - we want you to have the best day possible! Do it... Do it now. Great value and loads of fun!! Amazing experience for a great price. This boat is very fast smooth and fantastic. Best boat trip out there! The fun seats at the back of the boat. 極度推介Zigzag這船，時間安排至於食物質素都非常好，船也十分乾淨，開起來速度高卻坐得舒服，船員服務一流，五星！ Highly recommend Zigzac, great arrangement and rundown. Excellent fast clean boat with comfort. Amazing crew made an awesome wonderful day. 5 star! The day was amazing from start to finish. The crew (Will, Kelly and Captain Taz) were great fun and so knowledgeable about the islands and wildlife. We saw whales and turtles! The day consisted of 2 snorkels, a beautiful white beach with no one else on it, the famous Whitehaven beach, a delicious lunch and then time at a private resort on long Island. Captain Taz definitely lived up to the 'zigzag' name with his driving and it was so much fun for everyone, adults and kids! Amazing value for money, highly reccomend! Thanks guys! We saw whales, a whale calf, had two great snorkeling locations on the beautiful reef, saw thousands of tropical fish, saw a turtle, enjoyed a good buffet lunch, stopped at remote beaches, - all this with super friendly supportive crew, on a super fast jet boat thst gets you out to the reef really quickly- so fast you wont get seasick. Highly recommended! Amazing day with fantastic crew. It's been an amazing day with Zigzag. The guys were very friendly and helpful, smiling all the time! The boat is just great, the fastest in Airlie beach. We were lucky cause the sea was really flat, but I'm sure the driver was great too.. It's an excursion into the paradise, with nice people around.. What else? Highly recommended!! Your message has been sent to Whitehaven Beach and Island All Inclusive Day Tour - ZigZag Whitsundays. You should hear from them shortly. Please note: all responses will come directly from Whitehaven Beach and Island All Inclusive Day Tour - ZigZag Whitsundays, and not the team at Bookme.